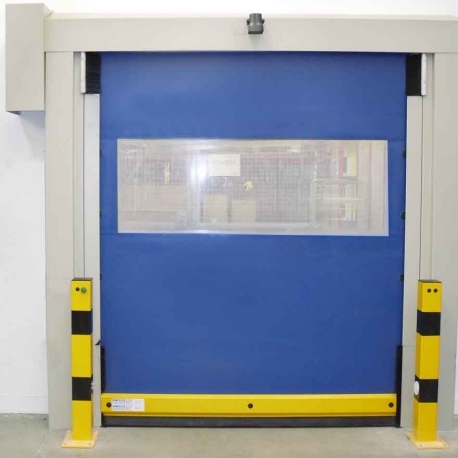 High Speed Doors are designed for exterior and interior openings that require a very high speed opening and closing rate with high-cycles that can withstand wind loads, severe internal air pressure differentials or harsh environmental requirements. 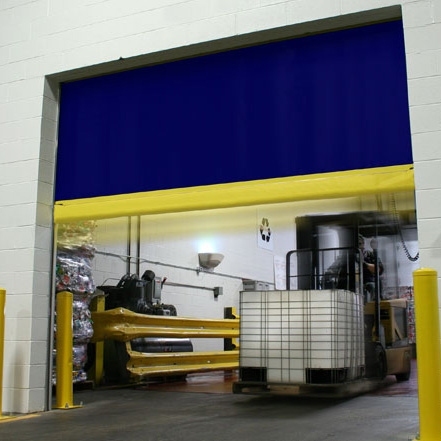 Opening speeds of up to 48" per second are possible to allow forklifts or automated material carriers to pass with little to no waiting. 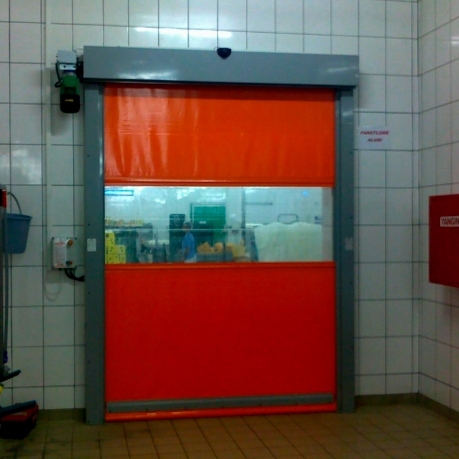 Our high speed doors are also effective at controlling noise, dust and dirt. 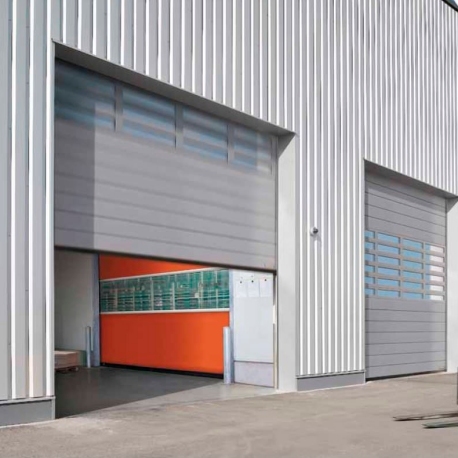 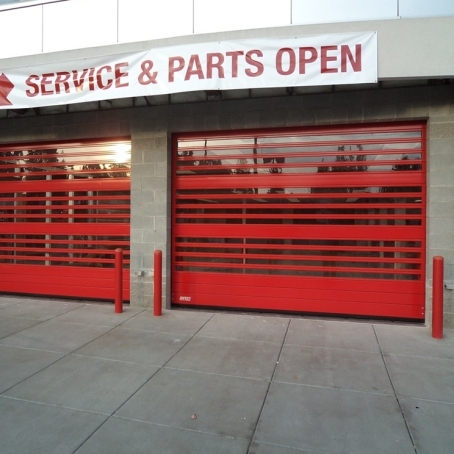 Commercial Door Company is the choice for applications requiring the highest levels of speed, safety, durability, performance and climate control. 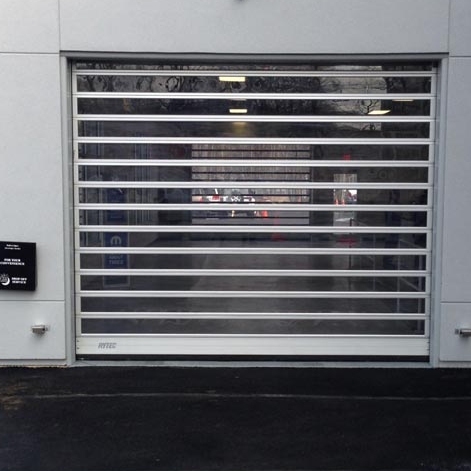 Let us show you all the options available from multiple vendors that specialize in high speed vertical lift doors.